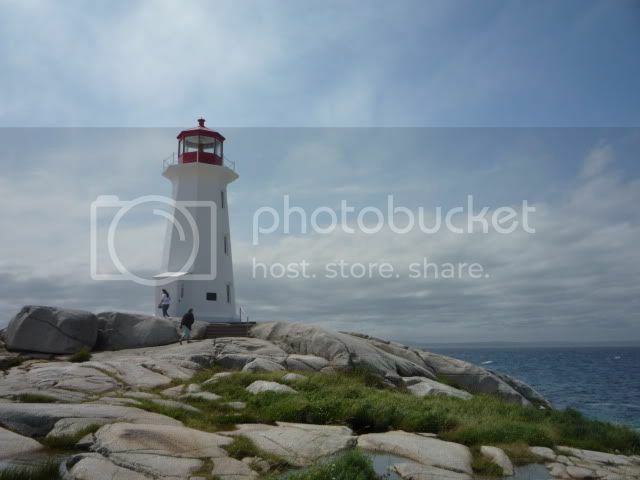 The lighthouse in Peggy's Cove is one of the most-photographed structures in Atlantic Canada and one of the most recognizable lighthouses in the world. 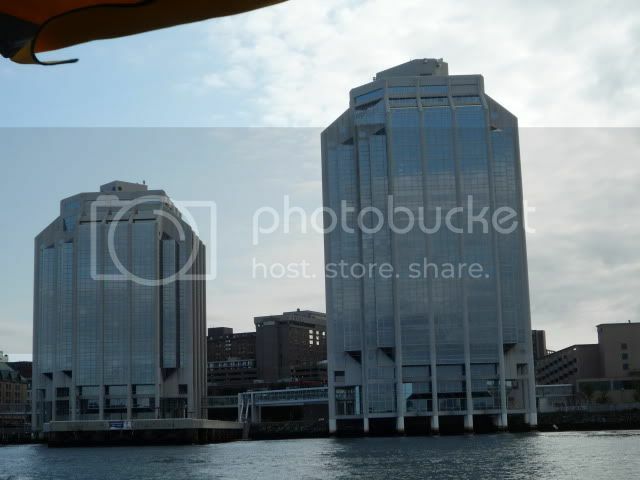 The Lighthouse has a small post office at the lower level. 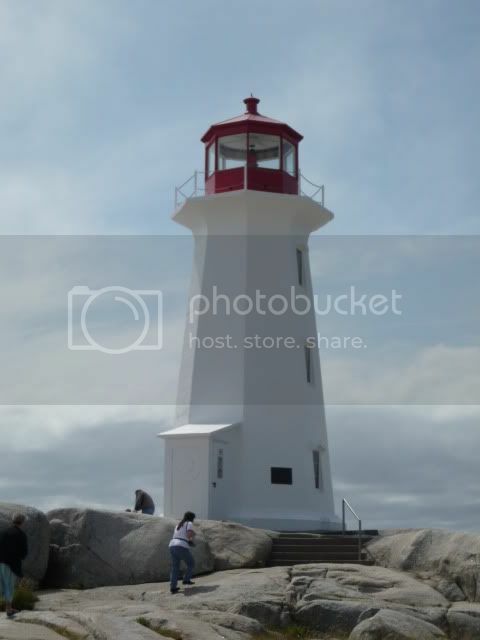 It is the only one that does not use the official post mark and has a special one with a lighthouse. 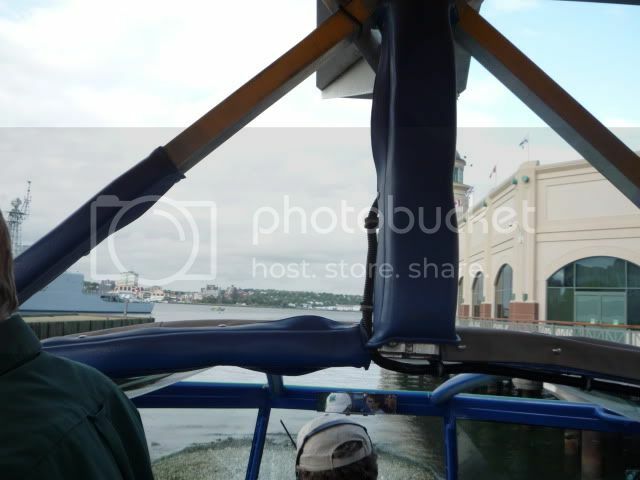 Halifax - We took a Harbour Hopper tour on a unique vehicle called a LARK. 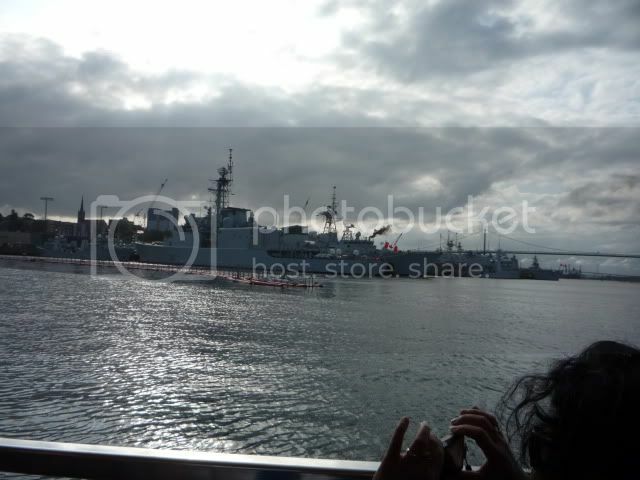 It operates on both land and sea. Inside of LARK. The Lark V was originally a military vehicle built for the U.S. during the Vietnam War era (1963-1970). 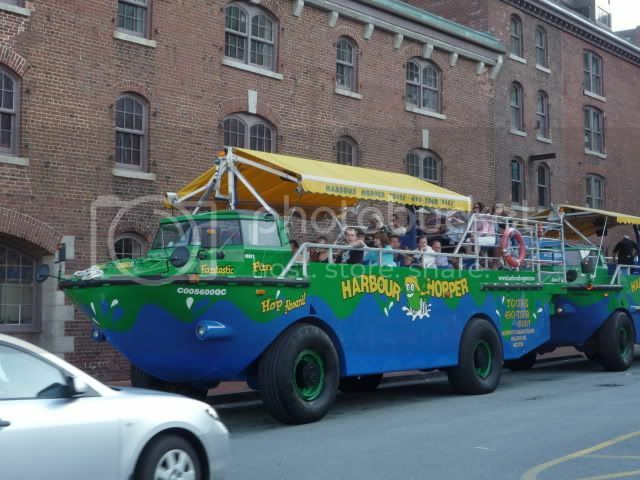 The Lark V was designed as a boat capable of being driven on land, and is currently the most stable amphibious vehicle ever built. They were used to transport cargo and soldiers from supply ships onto the beaches and jungles of Vietnam, a distance of up to 1.5 miles from ship to shore. In total the U.S government spent about $900 million dollars to produce approximately 900 vehicles. Of the 900 created 500 have been destroyed, 200 are being refurbished by the U.S government for future use, about 100 have been dismantled, and about 100 are privately owned worldwide. Unfortunately, the two machine guns in the back were removed when converted for civilian use. And the shark's teeth design in the front were deemed to be too scary to see in people's rear view mirrors. 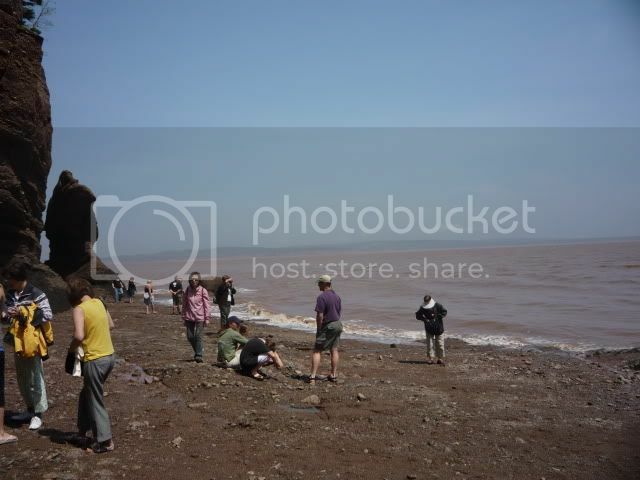 This is one of the largest and deepest natural harbours in the world at a depth of 18 metres at low tide. It's ice free all year round. 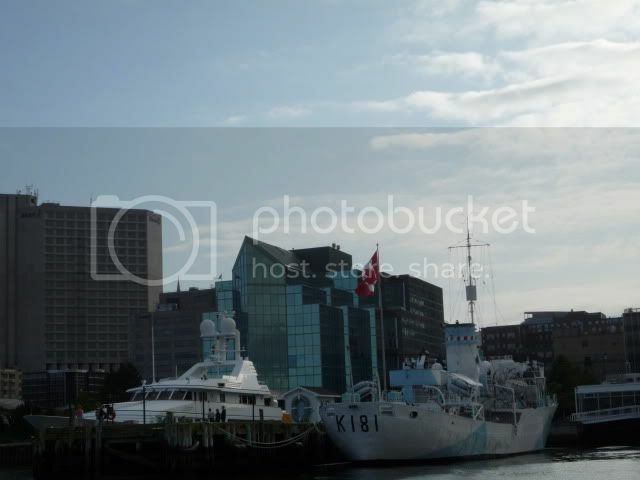 One of the most interesting facts about Halifax Harbour is the great explosion in 1917 between a French munitions ship (SS Mont-Blanc) and an unloaded Norwegian relief vessel (Imo). 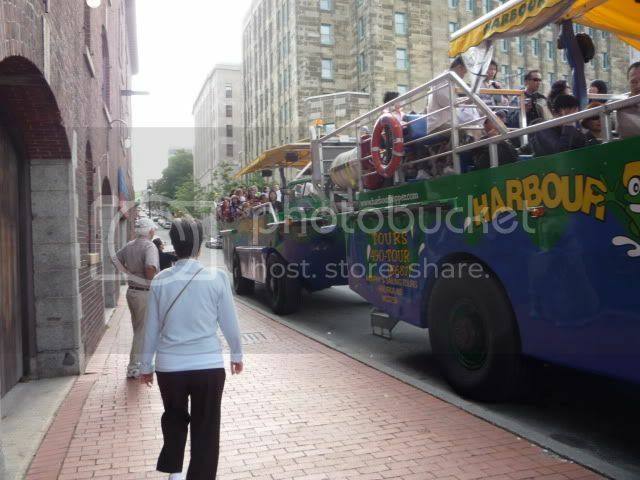 Supposedly both captains would not give way and a collision occurred. The resultant fire caused an explosion 25 minutes later. All buildings and structures covering nearly 2 square kilometres (500 acres) along the adjacent shore were obliterated, including those in the neighbouring communities of Richmond and Dartmouth. The explosion caused a tsunami in the harbour and a pressure wave of air that snapped trees, bent iron rails, demolished buildings, grounded vessels, and carried fragments of the Mont-Blanc for kilometres. There were 2000 fatalities. 9000 injured. 1630 homes destroyed. Over 12,000 homes damaged. More Nova Scotians died in the explosion than did in all of WWI. The death toll could have been worse if not for the self-sacrifice of an Intercolonial Railway dispatcher, P. Vincent Coleman, operating at the Richmond Railway Yards. He and his co-worker learned of the danger from the burning Mont-Blanc from a sailor and began to flee. Coleman remembered, however, that an incoming passenger train from Saint John, New Brunswick was due to arrive at the rail yard within minutes, and he returned to his post to send out urgent telegraph messages to stop the train. Coleman's message brought all incoming trains to a halt and was heard by other stations all along the Intercolonial Railway helping railway officials to respond immediately. The Saint John train is believed to have heeded the warning and stopped a safe distance from the blast at Rockingham, saving the lives of about 300 railway passengers. The rescued train was later used to carry injured and homeless survivors to Truro, Nova Scotia. Coleman was killed at his post as the explosion ripped through the city. He is honoured as a hero and fixture in Canadian history. 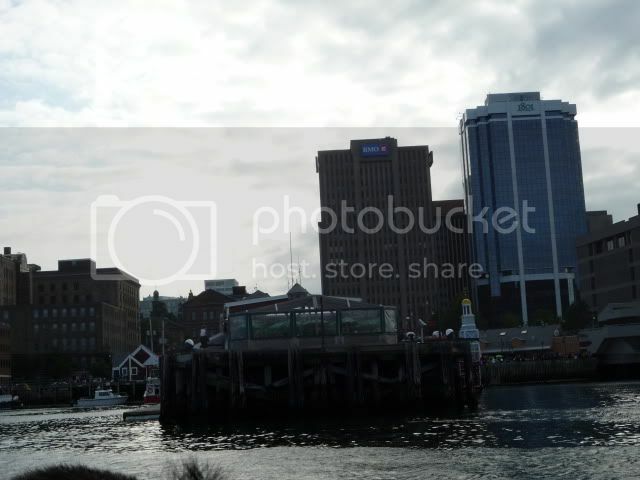 During the laying of the Transatlantic cable, all of the cables were piled on this wharf. 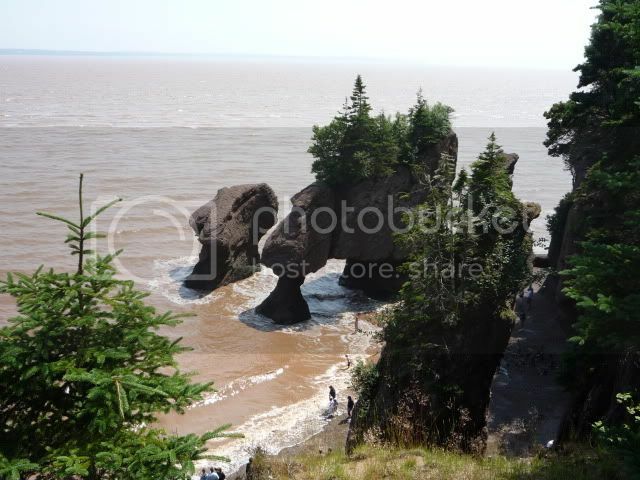 The Bay of Fundy has the highest tides in the world. 16 meters. Which happen twice a day. We were lucky enough to get there half an hour before the tides started rising. 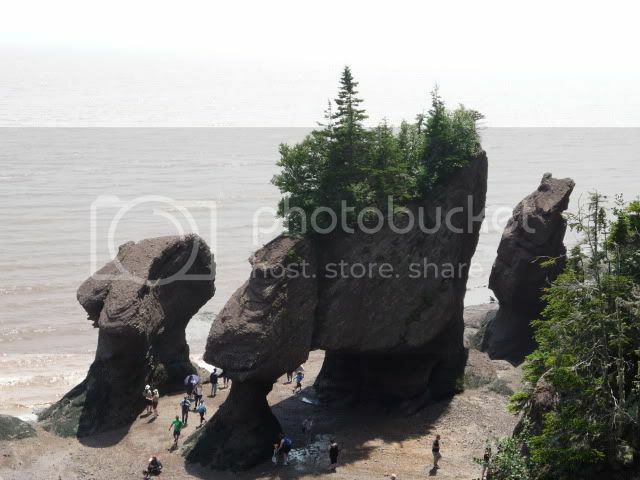 This area is Hopewell Rocks with flowerpot shaped rock formations. This is half an hour later. Where we were able to walk before is now starting to fill with water. Wow, what an interesting and informative holiday you had. My mind boggles at the US gov paying $1 million per each of those vehicles--- honestly, I would think 50,000 would be enough to not only design, build and deliver them, but also to fuel them for a year and put wet-bars and hot tubs in them. And the shark's teeth design in the front were deemed to be too scary to see in people's rear view mirrors. What causes the tides to be so high? 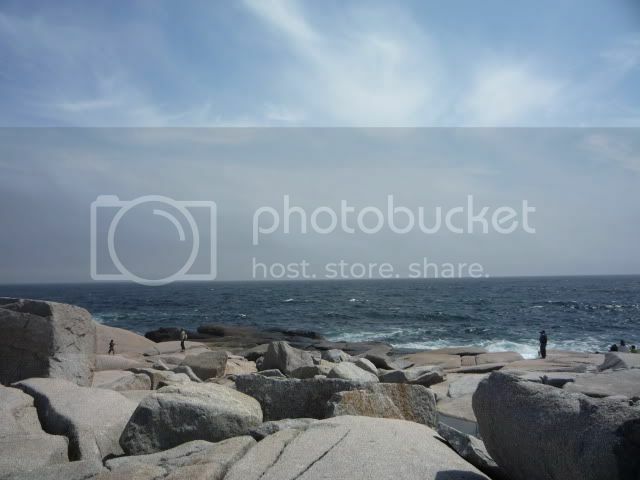 What interesting formations the rocks have from the erosion! 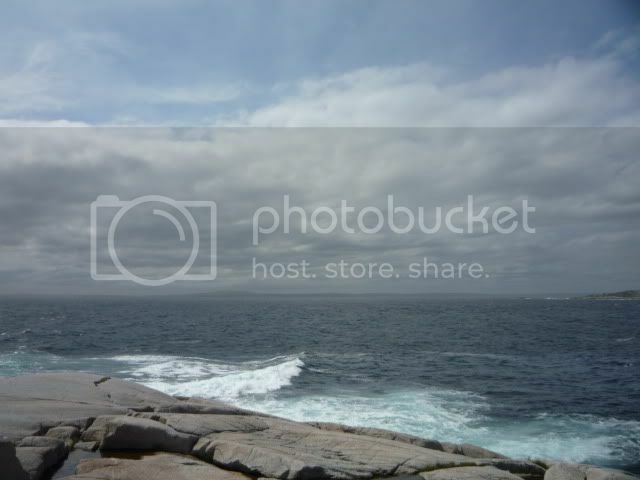 The story goes that a schooner was wrecked on "Halibut Rock" off the Lighthouse Point, in a "Southeaster", in sleet and fog on a dark October night. The ship ran hard aground and with high waves washing her decks, some of her crew climbed to the masts, but the waves washed them into the boiling sea. Everyone on board was lost except a woman, who managed to survive the turbulent seas, swam ashore and was finally rescued by the people on the shore. Her name was Margaret, and she married one of the eligible bachelors of the Cove. 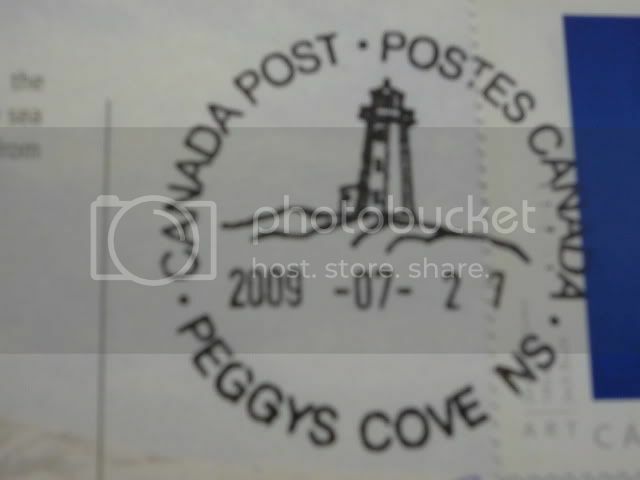 The people from near-by places used to come and visit Peggy of the Cove, and before long they began to call the place Peggy's Cove. How true this story is, no one knows, and there are no documents available to confirm or refute it. What causes the tides to be so high? There appear to be two factors. 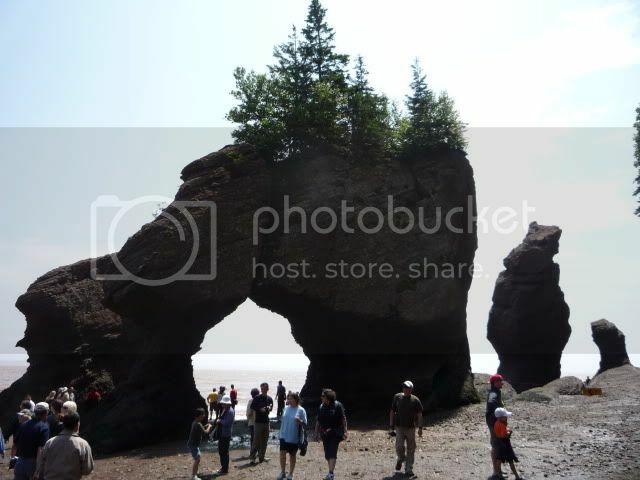 One is the particular nature of Fundy Bay. There is a gradual tapering and shallowing of this body of water constricting the tidal flow into the bay, causing the water to rise from the average high tide of 3 ft, to 52 ft, the tidal range found at the head of the bay. The second factor is called the resonance effect. Every basin of water has its own natural rhythm of water movement. 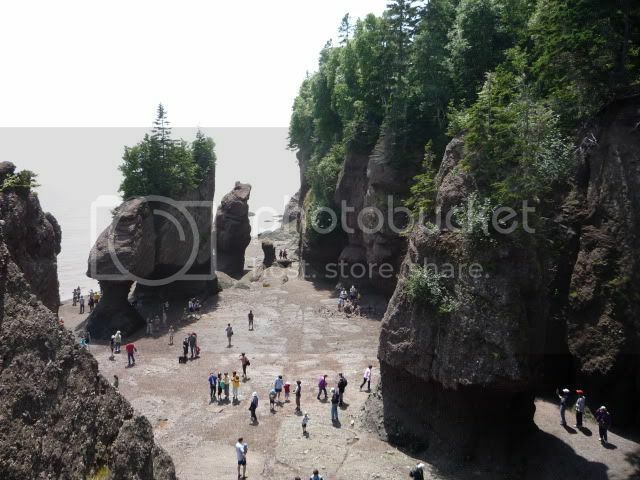 The time it takes for the tide to flood the full length of Bay of Fundy - 180 miles or 290 km - is equal to the time it takes for the tide to come in from the adjoining Gulf of Maine. This resonance effect - the meshing of these two rhythms - amplifies the tidal range, creating higher tides. Called the "Seiche Effect", this amplification is frequently compared to the wave action produced by sloshing water back and forth in a bathtub, each wave higher than the one previous. 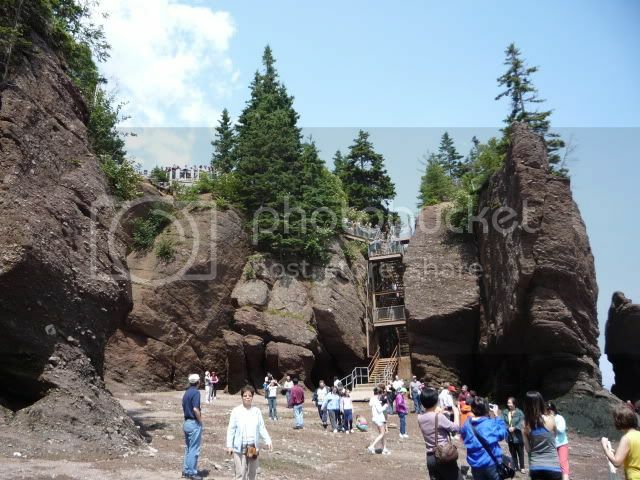 It is this comparison which led to the Bay of Fundy being called 'the world's largest bathtub'. Each day 100 billion tonnes of seawater flows in and out of the Bay of Fundy during one tide cycle, more than the combined flow of the world’s freshwater rivers! Wow, that's amazing! It must be incredible to see. 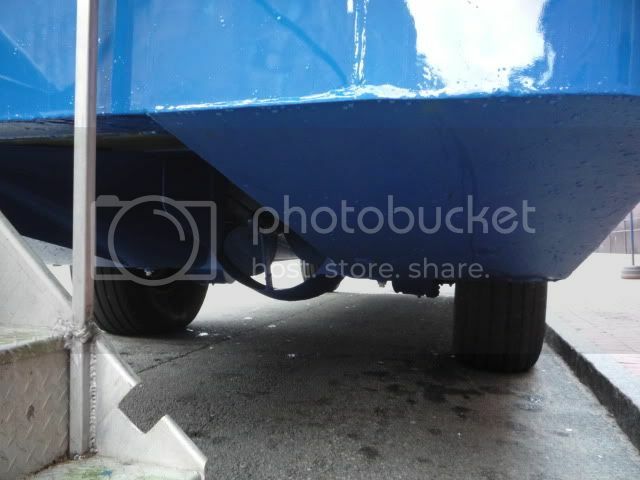 Is the rising of the water level actually visible? I'd think it must be. From low tide to high tide takes about 12 hours. We were lucky to arrive when the tide was just about to come onto the shore. From the half hour we were there, we could see it rise visibly, from the pics that you see of the rock base to all of it covered as the water continued rising. Oh, my god--these are absolutely breath taking!! 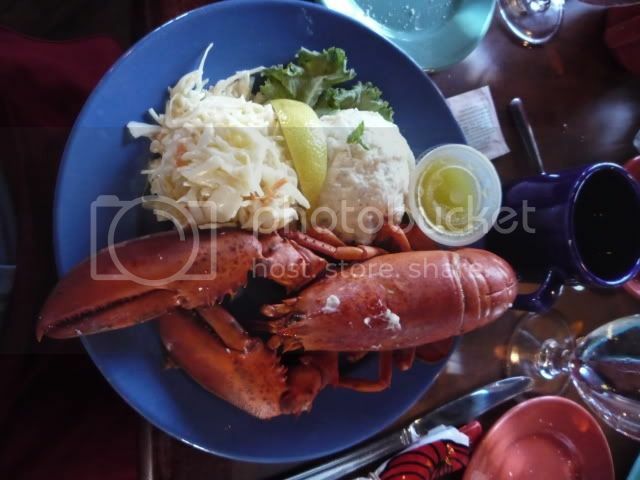 Great pics - I'm really enjoying your holiday! Love the amphibs they are like the Ducks the British army uses. Eminently practical in a seaside resort. All honour to Coleman and it's horrendous to think that it was caused by two men's stubbornness. Also explains why the Mersey shipping Lane has thoroughly established "right of Way"
Love the amphibs they are like the Ducks the British army uses. 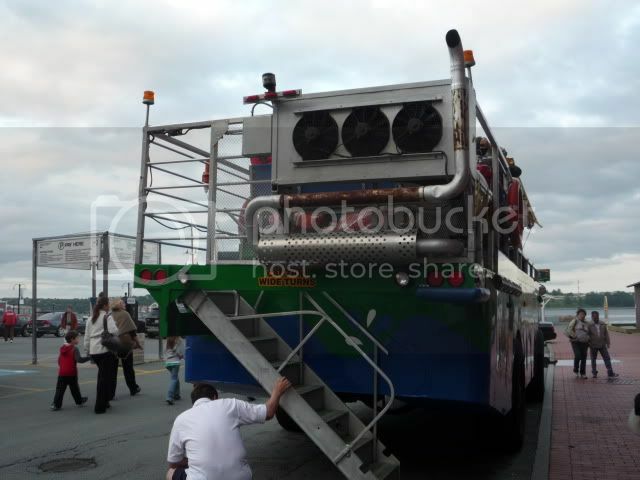 It was a very interesting ride because we had been told that we were taking a cruise of the harbour but then they loaded us onto the wheeled vehicles on land. We were wondering if we were going to be transferred to a boat at some point. Also explains why the Mersey shipping Lane has thoroughly established "right of Way"